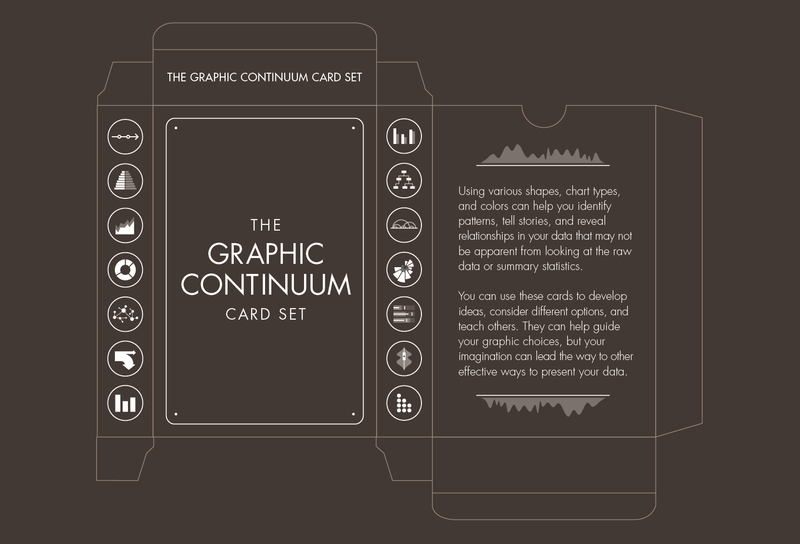 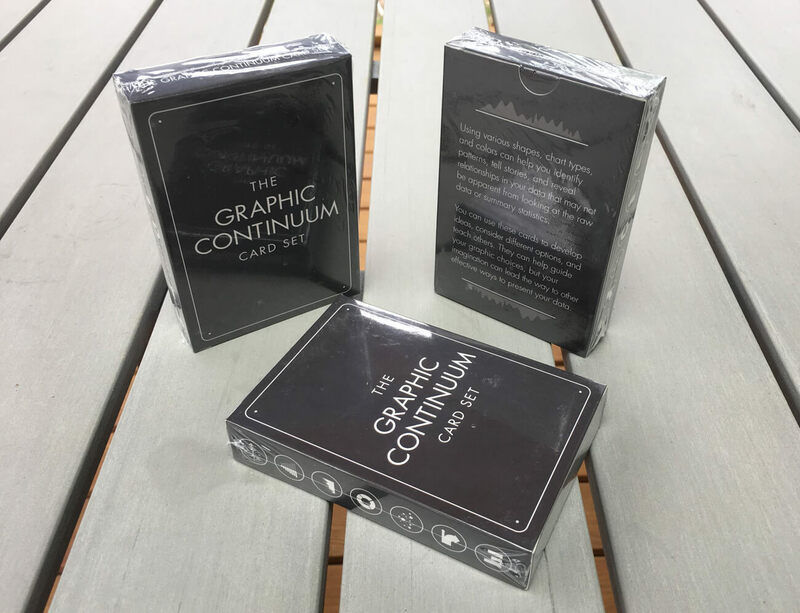 Jon Schwabish and I launched a pack of flash cards based on the Graphic Continuum project that we had previously collaborated on. 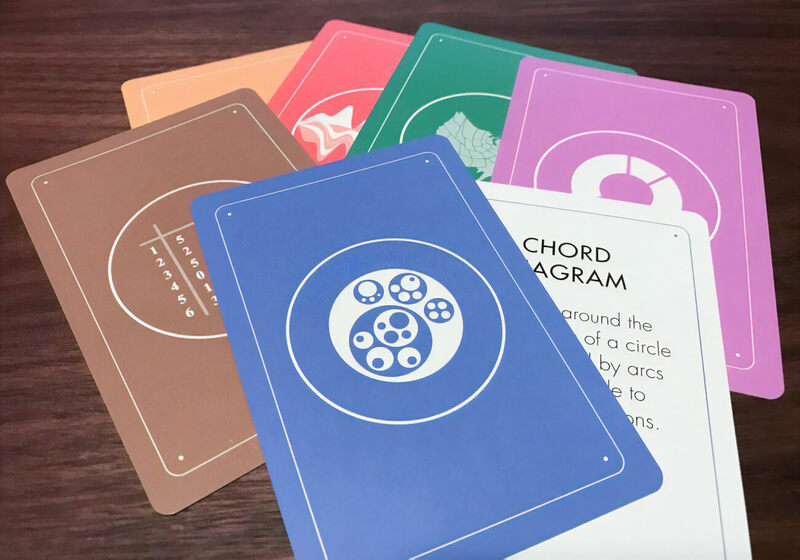 The pack of 54 contains a colourful selection of cards (each 3” by 4.5”) that each feature on one side an icon representing a chart and on the other, a short description of it. 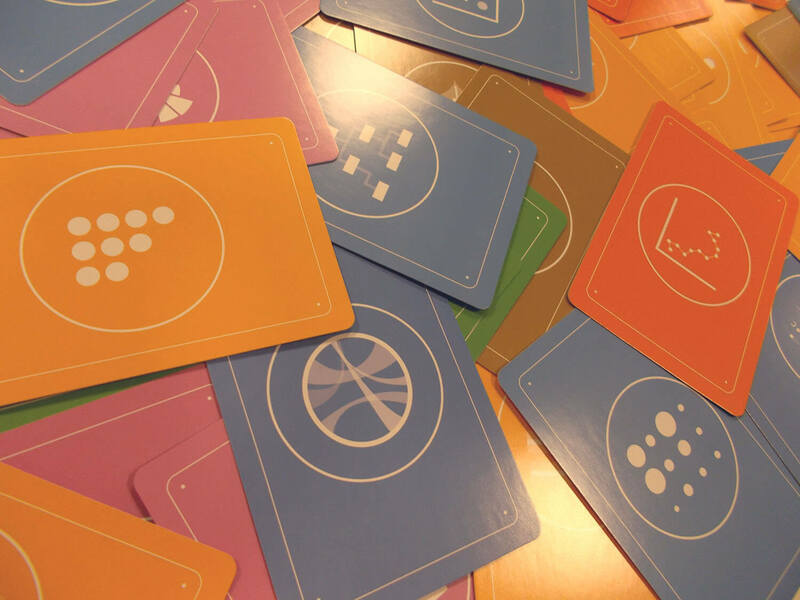 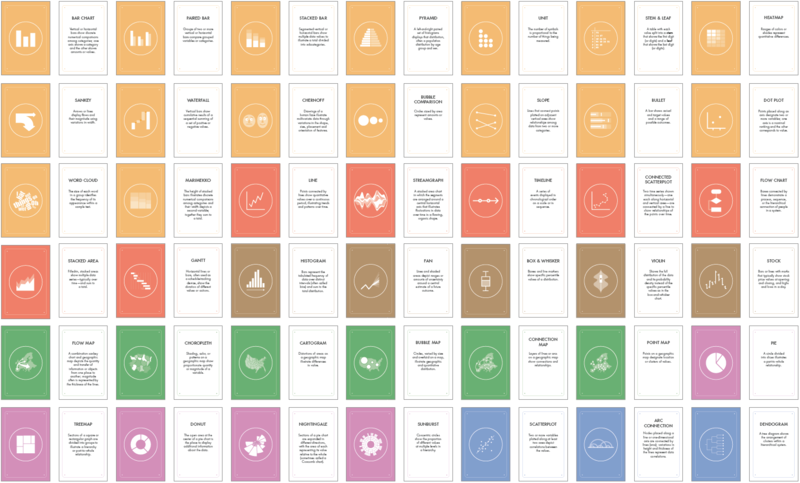 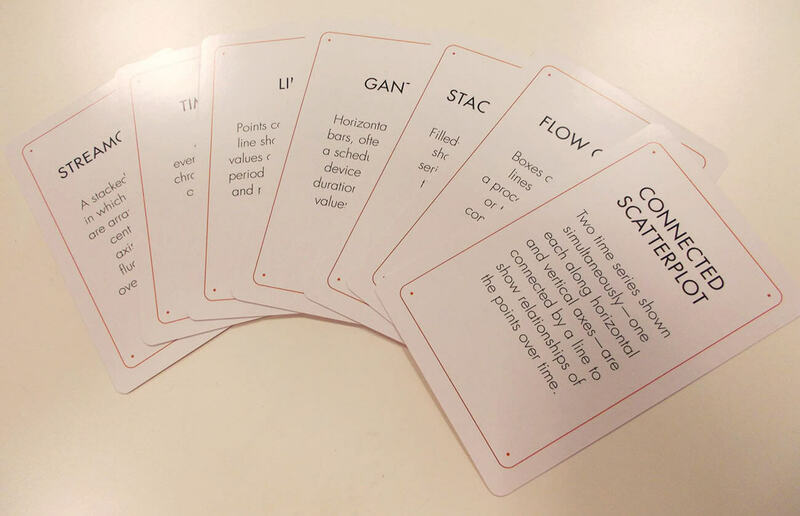 The cards are coloured and organised based on the 6 function categories from the original project.